Sachin Ramesh Tendulkar is a former Indian Cricketer who played a total of 664 international cricket matches, scoring 34,357 runs. Sachin Tendulkar is also the only player to have completed more than 30,000 runs in international cricket. He is considered the best Indian Cricketer and in his 24 year long career, he has scored over 100 International centuries and is the first batsman ever to have scored a double century in a One Day International (ODI).He is the youngest and first ever sports-person to receive India's highest civilian award, the Bharat Ratna. Along with Bharat Ratna, he was awarded India's fourth and second highest civilian awards Padma Shri and Padma Vibhushan. 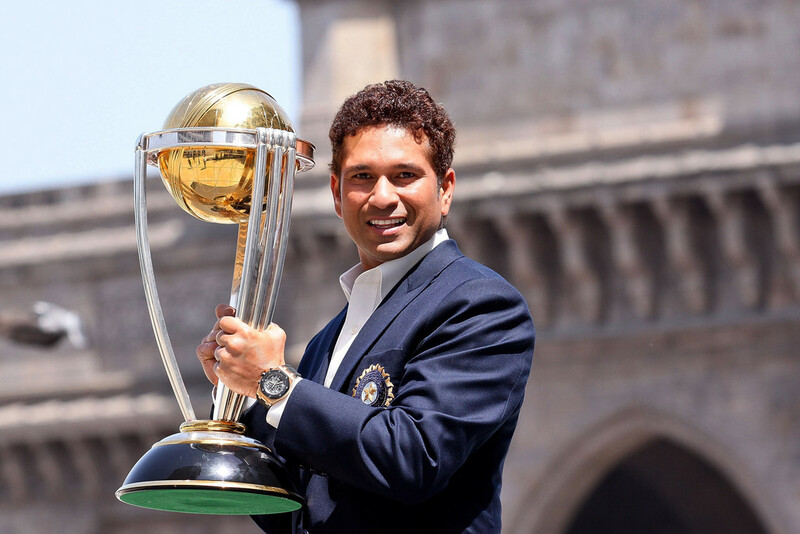 Sachin was awarded the Arjuna Award in 1994 and the Rajiv Gandhi Khel Ratna award in 1997, for his outstanding achievement in the field of sports. In 2012, he was nominated to the upper house of Indian Parliament, Rajya Sabha. 'Sachin: A Billion Dreams', an Indian film directed by James Erskine was released in May 2017. Sachin Tendulkar retired from all forms of cricket on 16 November 2013. Sachin Tendulkar married Anjali Mehta, a paediatrician, in May of 1995. They have a daughter and a son. His son Arjun has been playing for local clubs and is said to be on his father's footsteps. Sachin Tendulkar was born in Mumbai on 24 April 1973, to Marathi Novelist Ramesh Tendulkar and Insurance industry employee Rajni. 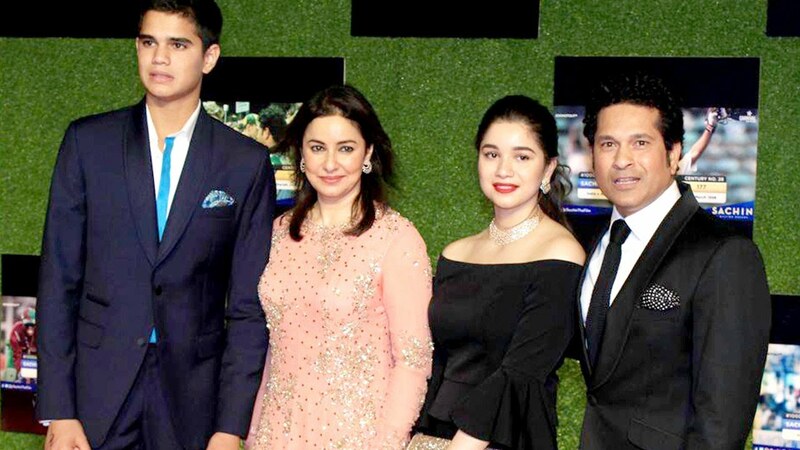 Sachin was the youngest of four children. In his teenage, Sachin used to play for a team at Bandra east, then his mentor and early coach Ramakant Achrekar advised him to join Sharadashram Vidyamandir (English) High School, which had a decent Cricket team. Achrekar used to train Sachin personally in leisure hours. Sachin used to play for local clubs and later joined the Cricket Club of India. In an inter-school cricket competition, he along with his mate Vinod Kambli made a partnership of 664-run, out of which Sachin scored 326 runs. This partnership was a record until 2006. Sachin Tendulkar represented Mumbai at Ranji Trophy for 1987-88 season. In his first match against Gujarat, he scored a century and was the first Indian to do so. He scored his first double century against Australia, while playing for Mumbai and second double century against Tamil Nadu, during the semi-finals of the 2000 Ranji trophy. Sachin Tendulkar played for Yorkshire County Cricket Club, when he was 19, replacing retired player Craig McDermott. Sachin scored a total of 16 first-class matches and scored a total of 1070 runs. Sachin Tendulkar became the youngest player at the age of 16 years and 205 days to debut for India in Tests, when he played against Pakistan in Karachi in November 1989. He made 15 runs in his first match. He was retired by Pakistani fast bowler Waqar Younis. In the fourth match of the series, he was hit on his nose by Waqar Younis' bowl. He continued playing while still bleeding through his nose. In 1990, during a tour of England he scored a century and saved India from losing the match. On the same lines, he scored two centuries during the 1991â€“92 tour of Australia. On 9 September 1994, he scored his first ODI century, against Australia. 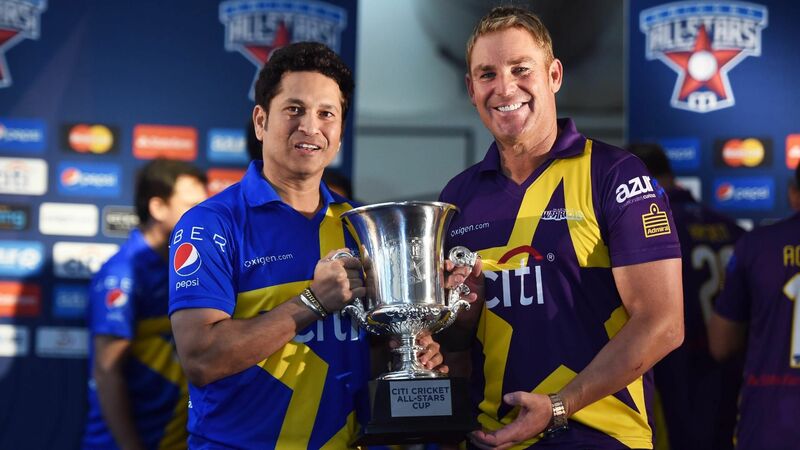 During the Australian tour of 1998, Sachin Tendulkar was up and against the finest spinner Shane Warne and people were anticipating their face-off. 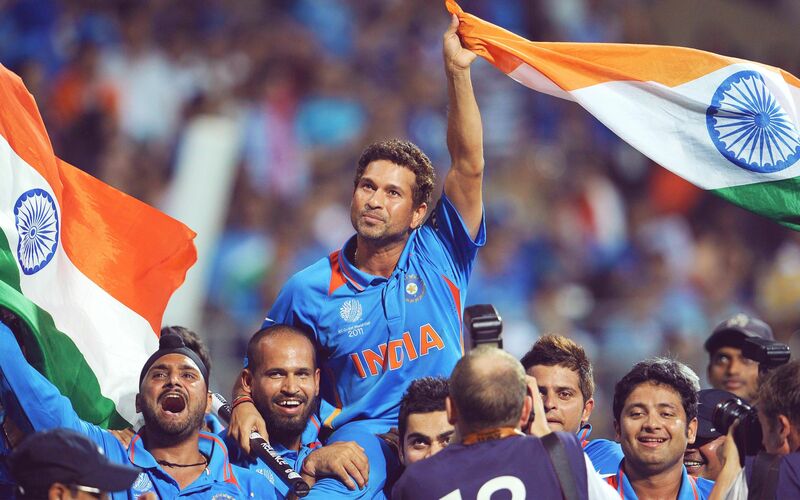 Sachin scored an unbeaten 204 and won the match for India. During one ODI match of the series, he showed his talent at bowling and retired 5 batsmen for 32 runs. In a test match against Pakistan in 1999, Sachin scored 136 in the fourth innings. During the 1999 World Cup, his father Ramesh Tendulkar passed away and Sachin went back to attend the funeral but returned to the world cup and scored 140 runs. In the Tri-Series involving India, Sri Lanka and Australia for Commonwealth Bank series, Tendulkar became the only batsman to complete 16,000 runs in ODIs. During the Border-Gavaskar Trophy, against Australia, when Sachin scored 61 runs, he broke the record of Brain Lara of making most Test runs. He had scored 12000 runs by then. When Mohammed Azharuddin was released from Captaincy, Sachin took over as Captain. His first series, as a captain, against Australia was lost by a difference of 3-0. Sachin, however, was named as Man of the Series. Tendulkar resigned from Captaincy in 2000 but was again asked to take over Captaincy after the resignation of Rahul Dravid, but he refused. In the 2002 series against West Indies, Sachin Tendulkar scored 79 in the first match and 117 in the second match, which was also his 29th Test century, to equal the record of Sir Donald Bradman. 2003: Sachin Tendulkar was given the Man of the Tournament title for making 673 runs in 11 matches. 2007: Sachin was asked to bat at a lower order and he did not perform well during the series, his highest score being 57 against Bermuda. 2011: Sachin was part of the winning team; Sachin hit two centuries and made a total of 482 runs. In a match against Bangladesh in Asia cup, Sachin Tendulkar scored his 100th century. He became the first and only person to have achieved that milestone. On 23 December 2012, Sachin Tendulkar announced his retirement from One Day Internationals and in 2006, after playing a Twenty20 International against South Africa, he retired from T20 format of the game as well. At a two-Test series against West Indies in October 2013, he announced his retirement from Test-format of Cricket. Sachin Tendulkar captained the IPL's team Mumbai Indians for six seasons. 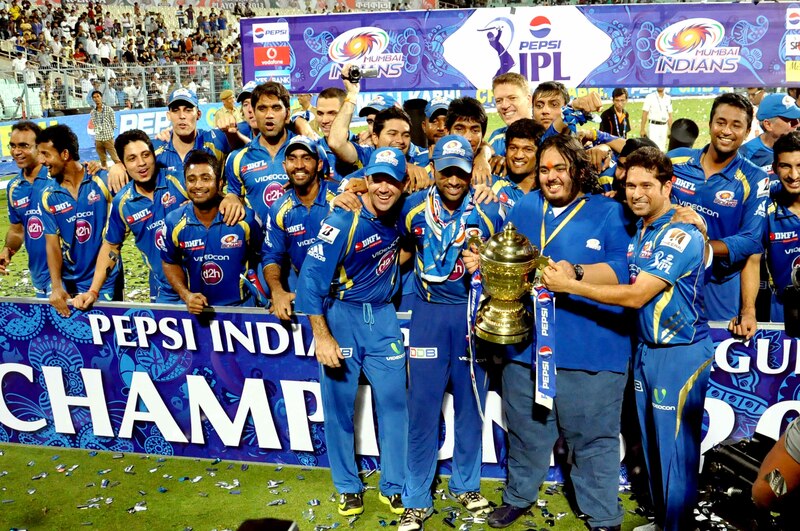 During 2010 season, Mumbai Indians reached final. Sachin Tendulkar was awarded player of the tournament for scoring 618 runs in 14 innings. In the second edition of the league, Sachin Tendulkar scored 135 runs. He announced his retirement from the IPL on 26 May, after Mumbai Indians, won Indian Premier League 2013 by beating Chennai Super Kings, by 23 runs, at the Eden Gardens in Kolkata. ➯ Sachin Tendulkar is the youngest and first ever sports-person to receive India's highest civilian award, the Bharat Ratna. ➯ Sachin Tendulkar was awarded India's fourth and second highest civilian awards Padma Shri and Padma Vibhushan in 1999 and 2008 respectively. ➯ Sachin was awarded Wisden Cricketer of the Year in 1997. ➯ In 2011, Sachin was titled BCCI Cricketer of the Year award. ➯ Sachin Tendulkar was made an honorary group captain by the Indian Air Force in 2010. ➯ In 2013, Indian Postal Service released a stamp of Tendulkar. ➯ "Sachin: The Story of the World's Greatest Batsman" was written by Gulu Ezekiel. ➯ "Master Stroke: 100 Centuries of Sachin Tendulkar penned by Neelima Athalye." ➯ "Playing It My Way" by Sachin Tendulkar. 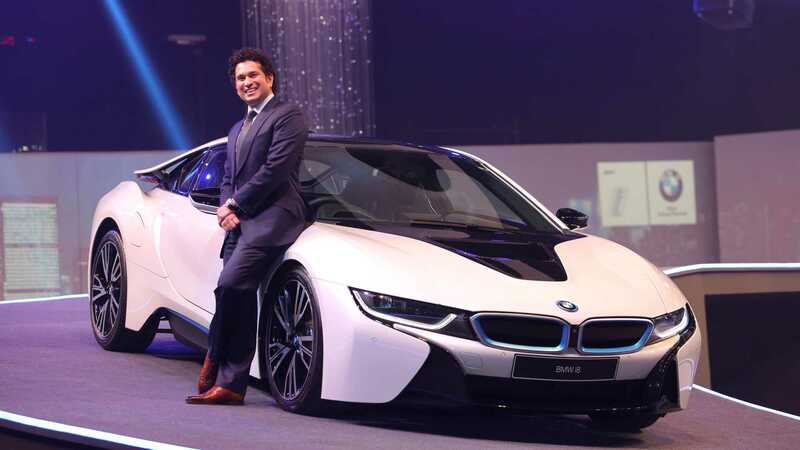 ➯ Sachin Tendulkar is a former Indian Cricketer and Captain of Indian team. ➯ Sachin is considered the best Cricketer of India. ➯ Sachin Tendulkar is the only player to have completed more than 30,000 runs in international cricket. ➯ Sachin Tendulkar has scored over 100 International centuries and is the first batsman ever to have scored a double century in a One Day International (ODI). ➯ Sachin Tendulkar's father Ramesh Tendulkar was a famous Marathi Novelist. ➯ Sachin Tendulkar became the youngest player at the age of 16 years and 205 days to debut for India in Tests. ➯ Sachin Tendulkar debuted in Test Format against Pakistan in Karachi in November 1989. ➯ Sachin Tendulkar took over as Captain, when Mohammed Azharuddin quit as Captain. ➯ Sachin Tendulkar scored his first ODI century, against Australia, on 9 September 1994. ➯ Sachin Tendulkar retired from ODIs on 23 December 2012 and from Test-format in October 2013. ➯ Sachin Tendulkar played at IPL for Mumbai Indians. ➯ Sachin Tendulkar released his autobiography "Playing It My Way" on 5 November 2014.